Citroën C4 2004/11-2010/12 LA 2.0L Benzin. Ford Kuga I 2008/03-2012/11 -- 2.0L Benzin. Citroën C4 2006/10-2013/12 UA 2.0L Benzin. Citroën C4 I 2004/11-2011/07 LC 2.0L Benzin. Citroën C4 2006/10-2013/08 UD 2.0L Benzin. FIAT DUCATO (230_) 2.5 D / TDI 03.1994-04.2002. FIAT DUCATO (230_) / (244_) 2.8 D / TDI / JTD / iDTD 1998 ONWARD. CITROEN RELAY (230P) / (230L) / (230) 2.5 TDi / TDI / D / TD / 03.1994-04.2002. CITROEN RELAY (230P) / (230L) 2.8 HDI 09.2000-04.2002. Peugeot / Citroen OE Sump Plug & Washer - SP5W. 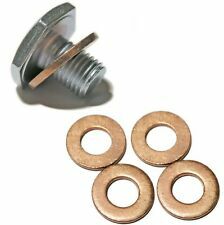 Peugeot / Citroen HDI Oil Sump Plug & 5 Sump Washers. In our experience, half the work of changing the oil in your vehicle is finding the right sump plug and sump washer. Año: 01 02 03 04 05 06 07 08.  Pieza defectuosa.  Pieza equivocada. NOTA: SE DENOMINAN GASTOS DE DEVOLUCION A LOS OCASIONADOS POR EL TRANSPORTE.  Mientras no las recibamos, las piezas siguen siendo de su propiedad. REF NUMBER : 1483825, 2S6Q-6615-AC, 2S6Q6615AC, 101866. Oil Sump Pick Up Strainer Pipe. Peugeot Partner. Best Regards /. 1.6 HDI 90. 307 SW ESTATE. 207 CC CONVERTIBLE. ENGINE SIZE. 9HY (DV6TED4); 9HZ (DV6TED4). 1.6 HDi 110. 307 ESTATE. 9HV (DV6ATED4). PEUGEOT BOXER 2.2 HDI 2006 EN ADELANTE. PEUGEOT BOXER 2.2 HDI 2006 ONWARD. Citroën Jumper 2.2 HDI 2006 EN ADELANTE. FIAT DUCATO 2006 adelante 100 MULTIJET 2,2. CITROEN RELAY 2.2 HDI 2006 ONWARD. FIAT DUCATO 2006 ONWARD 100 MULTIJET 2.2. Oil Sump Pan. NEW OIL SUMP PAN SUITABLE FOR OtherOil Sump Pans also available. Roof Rails. Anti Roll Bar link. Cylinder Heads & Gaskets. Wheel Hubs and Bearings. This is NOT a cheap OIL PANS, it is built to. Peugeot : 206, 207, 307, 308, 1007, Partner 2/3. Compatible avec les véhicules 1.6 16 soupapes, moteur essence TU5JP4 . PEUGEOT 308 SW 2.0 HDi 04.11 110 150 1997 3003-APU. PEUGEOT 206 Schrägheck (2A/C) 1.4 HDi eco 70 09.01 50 68 1398 3003-555. PEUGEOT 208 1.4 HDi 03.12 50 68 1398 3003-ARG. PEUGEOT 207 SW (WK_) 1.6 HDi 11.09 68 92 1560 3003-AKW. Citroen C8 2.2 Hdi. Fiat Ulysse 2.2 JTD. Citroen C5 jusqu a 2008 2.2 hdi. Peugeot 406 2.2 Hdi. peugeot 607 2.2 Hdi. Peugeot 607 2.2 Hdi. Peugeot 807 2.2 Hdi. SUPPORT: 0899 105 813. 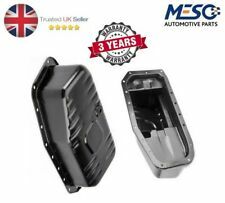 BRAND NEW TOP QUALITY OIL SUMP PAN. DUCATO MINIBUS (230). DUCATO FLATBED (230). DUCATO VAN (230L). DUCATO MINIBUS (244). DUCATO VAN (244). BOXER MK 2 MINIBUS (230P). BOXER MK 2 VAN (230L). BOXER MK 2 FLATBED. PEUGEOT 206 1.4 & 1.6 HDi DIESEL ENGINES. PEUGEOT 207 1.4 & 1.6 HDi DIESEL ENGINES. PEUGEOT 208 1.4 & 1.6 HDi DIESEL ENGINES. PEUGEOT 307 1.4 & 1.6 HDi DIESEL ENGINES. PEUGEOT 308 1.4 & 1.6 HDi DIESEL ENGINES. Original Ölwanne DICHTUNG Citroen Jumper III 06- Peugeot Boxer III 06- 3.0 HDI. DICHTUNG 028124P. CITROEN JUMPER - 2006>. PEUGEOT BOXER - 2006>. WIR PRÜFEN DAS FÜR SIE. IVECO DAILY III 1999>. EXPERT Tepee (VF3X_). Oil Sump Pan. HIGHLANDS, IRELAND,CHANNEL ISLANDS, JERSEY, ISLE OF WIGHT, BFPO. 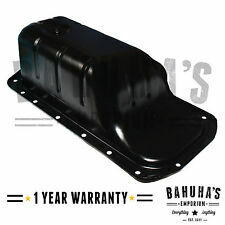 NEW OIL SUMP PAN SUITABLE FOR OtherOil Sump Pans also available. Anti Roll Bar link. Roof Rails. Cylinder Heads & Gaskets. PEUGEOT BOXER 2.2 HDI 2006 adelante. PEUGEOT BOXER 2.2 HDI 2006 onward. FIAT DUCATO 2.2 D 2006 adelante. This kit contains 4 different gaskets used for the sump: PEUGEOT 106 ALL MODELS inc GTi RALLYE XSi XR XS XT & QUIKSILVER. Area 3: Oil Sump. Area 2: Oil. PEUGEOT 106 (1997) 900 BENZINA 37KW 3P. COPPA OLIO MOTORE. Codice motore: CDZ. - per i Paesi Bassi: Isole Bes, Aruba, Curacao, Sint Maarten. - per la Francia: Guadalupa, Guyana Francese, Martinica, Riunione, Saint Barthélemy, Saint Martin. Longueur 394mm / Largeur 200mm / Hauteur 128mm. Pour moteur 1.4 l & 1.6 l HDi TDci MZ-CD (voir affectations). Pour moteurs 1.4l ou 1.6l HDi, TDci, MZ-CD, 1.6l d, 1.6D. Citroën / Peugeot / Toyota / Mazda / Ford / Volvo. MAGNETIC OIL SUMP DRAIN PLUG. Thread pitch 1.5mm. PEUGEOT 405 I Break (15E) 1.9 10.88 - 08.92 77 105 1905 Estate. PEUGEOT 405 I Break (15E) 1.9 10.88 - 08.92 80 109 1905 Estate. ENGINE CODE. ENGINE SIZE. OIL PAN MATERIAL: ALUMINIUM. AND MAKE SURE THE ITEM IS IDENTICAL TO THE ORIGINAL ONE. 4HZ (DW12TED4). 807 MPV (E). 4HX (DW12TED4/FAP). 02.00 - 02.06. Kompatibel für: Peugeot, Citroën. Citroën Berlingo 2000/10-2018/12 I4 1.6L Benzin. Citroën C4 2004/11-2011/07 I4 1.6L Benzin. Citroën C2 2003/09-2009/12 I4 1.6L Benzin. Citroën C3 2002/02-2010/12 I4 1.6L Benzin. 807 MPV (E). Oil Pan Material: Aluminium. EXPERT Tepee (VF3V_). EXPERT MK 2 VAN (VF3A_, VF3U_, VF3X_). AND MAKE SURE THE ITEM IS IDENTICAL TO THE ORIGINAL ONE. RFJ (EW10A); RFH (EW10A). ENGINE SIZE. ENGINE CODE. OIL SUMP PAN. PARTNER MK 1 MPV. ENGINE SIZE. ENGINE CODE. PARTNER MK 1 VAN. EXPERT VAN. EXPERT MPV. AND MAKE SURE THE ITEM IS IDENTICAL TO THE ORIGINAL ONE. Marke: Hajus. 1 x Ölwanne mit Ölablassschraube. Citroën Jumper Bus (--) 3.0 HDi 155 2999 115 157 2010/07-2017/12 3001-AJJ, 3001-AJM, 3001-ANU. Citroën Jumper Bus (--) 3.0 HDi 160 2999 116 157 2006/09-2006/12 3001-AEG, 3001-AEW, 3001-AFO. Références équivalentesOEM FORD, VOLVO, PEUGEOT et CITROËN : 0301. Q3 - 0301Q3 - 0301P0 - 0301. P0 - 1374235 - 30725278 - 1 573 009. Peugeot : 307 - 308 - 407 - 508 - 807 - Expert. Voir tableau de compatibilité véhicules. 100 (cien) Peugeot / Citroen OE consolidado arandelas de cárter - SW17Bx100. Manufacturer Part Number SW17BX100. EBV SW17BX100. Camionetas incluyen: Peugeot Boxer, Expert, Partner, Partnerspace, Citroen Berlingo, Saxo, C15, C25, despacho, Fiat Ducato, Scudo. [2005-2009]. Citroën Xsara N2. [2007-2015]. Mini Mini Clubman Cooper D. [2006-2013]. Mini Mini Cooper D. [2010-2016]. Mazda 5 Series. Peugeot / Citroen HDI OIL Sump Plug & 5 OIL Sump Washers - SP17W . SP17W Sump Plug In our experience, half the work of changing the oil in your vehicle is finding the right sump plug and sump washer. PEUGEOT RANCH FURGONATO (2001) 2.0 DIESEL 66KW. COPPA OLIO MOTORE. Anno: 2001. Codice motore: RHY. - per i Paesi Bassi: Isole Bes, Aruba, Curacao, Sint Maarten. - per la Francia: Guadalupa, Guyana Francese, Martinica, Riunione, Saint Barthélemy, Saint Martin. Ölwanne Stahl. Fiat Ducato (Bj. 2006-2016). Citroën Jumper (Bj. Technische Daten Peugeot Boxer (Bj. Das Produkt ist ganz neu, nie benutzt, unbeschädigt undin einwandfreiem Zustand. ). ElringKlinger AG. FIAT DUCATO Bus (230_) 2.5 TDI Panorama/Combinato 03.94 - 04.02 85 116 4001-672. FIAT DUCATO Bus (230_) 2.5 TDI Panorama/Combinato 03.94 - 04.02 85 116 4001-699. FIAT DUCATO Bus (230_) 2.5 TDI Panorama/Combinato 03.94 - 04.02 85 116 4136-331. Ölwanne mit Dichtung. Citroën Jumper Bus 230P (Bj. 1994-2002). Citroën Jumper Bus 244, Z_ (Bj. 2002-2006). Fiat Ducato Bus 230 (Bj. Citroën Jumper Kasten 230L (Bj. Citroën Jumper Kasten 244 (Bj. ). Posición Depósito de aceite. Partes del cuerpo Turbocompresor Piezas del motor Partes de la ventana Cambiar paneles de puerta Equipo sentado. N º del Artículo: 00551. Descripción del producto. ESTADO DEL PRODUCTO Nuevo. Citroën Jumper 2006/04-2018/12 I4 2.2L Diesel Bus. Citroën Jumper 2006/04-2018/12 I4 2.2L Diesel Kasten. Ford Mondeo III 2000/10-2007/03 I4 2.0L Diesel Kombi. Ford Mondeo III 2004/09-2007/03 I4 2.2L Diesel Kombi. ASTA LIVELLO OLIO MOTORE. PEUGEOT 206 306 307. Specializzati inricambi per ogni veicoli, sia questo una moto, un'auto d'epoca o uno dei più recenti furgoni, siamo in grado di fornire qualsiasi pezzo e prodotto che soddisfi le vostre esigenze.